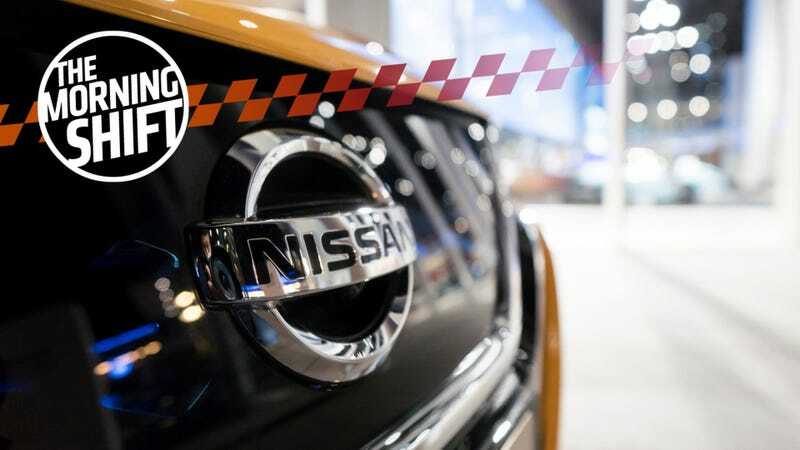 Nissan slashes sales targets in China, BMW is introducing a savings plan to account for a projected downturn in sales and President Donald Trump is playing out his reelection campaign amid the General Motors-UAW fight in Ohio. All this and more in The Morning Shift for Wednesday, March 20, 2019. 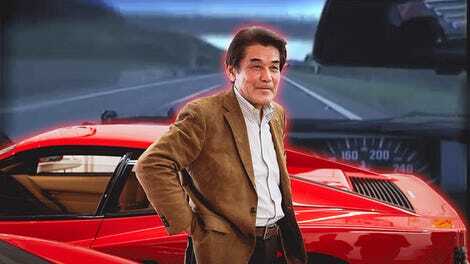 It’s no secret that Nissan has been having a rough time lately. Between the entire Carlos Ghosn criminal scandal, a lack of new models in the pipeline and a downturn in the auto market overall, the automaker has decided that its best strategy is to reduce target sales in China by eight percent to further insulate itself from disaster. Remember that auto sales in China—still the world’s biggest car market but long considered a golden goose with no end to the eggs it could make—are way down, and poised to sink further in 2019. That’s bad news for automakers who had grand designs on China, which was basically all of them. Nissan and Dongfeng Motor now forecast that their joint venture will sell 2.39 million vehicles in 2022, the end of the current mid-term plan. That is a reduction of 220,000 units from the previous target, the people said, asking not to be identified because the outlook is not public. Including imports, they sold a total of 1.56 million vehicles in China in 2018, an increase of 3.4 percent. One key factor is that Nissan is in between models at a time when the market is weak. Passenger vehicle sales in the country fell 6 percent to 22.7 million units last year, the first decline since the early 1990s, while ongoing trade tensions with the U.S. threaten to dampen demand even further. No major new Nissan models are planned for the China market through 2020, and its luxury Infiniti brand plans no new vehicles through 2021, the people said. Nissan’s mid-term plan calls for an operating profit margin of 8 percent on revenue of 16.5 trillion yen by 2022, with China contributing almost a third of revenue. Ghosn had pledged to invest $9 billion and introduce a slew of new electric vehicles, as Nissan vies with global rivals including Volkswagen Group and General Motors to become the largest electrified vehicle maker in the country. This is just one look at what the future could hold for other automakers with a stake in the Chinese market as it continues its downturn. BMW is expecting to lose up to ten percent of their pretax profits in 2019, Reuters reports. That’s encouraging the automaker to introduce a comprehensive $13.6 billion saving plan “to help offset higher technology investment and currency costs.” In other words, it’s expensive to invest in electric vehicles, and Brexit and a tariff threat in the U.S. aren’t helping. “The high level of volatility makes it difficult to provide a clear forecast,” BMW said. “Depending on how conditions develop, our guidance may be subject to additional risks; in particular, the risk of a no-deal Brexit and ongoing developments in international trade policy,” Chief Financial Officer Nicolas Peter said. Operating profit last year fell 7.9 percent. This year, they believe, will be even more difficult with the high cost of developing electric and self-driving cars taking a toll on profits. If BMW needs any help deciding which models to cut as its slashes costs, we have some suggestions. Is anyone surprised that Trump’s tweets have caused more problems than they’ve solved at this point? Over the weekend the president ordered both GM CEO Mary Barra and the UAW to get something, anything happening on the Lordstown, Ohio plant that was “unallocated” this month as its sole model, the slow-selling Chevrolet Cruze, is getting discontinued. Ohio is a crucial area for Trump as he seeks reelection next year, and he’s admitted as much. He handily won the state in 2016, but if he can’t deliver on promises to bring back manufacturing jobs, it could hurt him the next go-around. Trump can’t take Ohio for granted in his bid for re-election next year. His fortunes may ride on manufacturing jobs, the effect of his trade war with China and the overall state of the economy. Some polling indicates his approval in Ohio has slipped, and Democrats are circling the state, hoping to move it back into their column. [...] Meanwhile, Trump’s Twitter barrage is unlikely to re-open the idled plant. But his intervention in the matter will intensify what are already shaping up to be hard-fought negotiations between GM and the United Auto Workers union. GM and the UAW have each pushed back on Trump’s tweets, but the two have otherwise been very much at odds entering bargaining over a new four-year labor contract. The auto industry has become a viable proving ground for potential 2020 presidential candidates to display their economic policies. So, get excited for that! The strain of Tesla’s burgeoning electric car sales has started to become apparent in the increase of employees who missed work in 2018 due to work-related injuries and illness. According to Shelby, Tesla’s motto is “the most important metric is fatalities, and our number is zero.” That’s all well and good, but tell it to workers who have been maimed in car plants. If you were asked about the state of Vietnam’s automotive industry, chances are, you wouldn’t have any idea where to begin. But “state-aligned” hackers have been attacking foreign automotive companies in an effort to protect the country’s industry, as per a report by cyber-security provider FireEye. FireEye, which... dates its activities to 2014, said the attacks accelerated in early February. The hacking targeted companies in Southeast Asia and “the broader areas surrounding Vietnam,” said Nick Carr, a FireEye senior manager. So, what are the hackers trying to actually do? Carr has reasoned that, rather than looking for the acquisition of property, the hackers are trying to gain an advantage in the auto industry by seeking out corporate operation information—all those documents that aren’t available to the public and detail the operations of the company. It’s a way to uncover other companies’ weaknesses and to get a leg up on the competition. James Packard didn’t live long enough to see his cars become the vehicle of choice for luxurious 1930s-era film stars. Serving as both company president and chairman of the board, Packard watched his initial investment of a few thousand dollars transform into a multi-million dollar company. Neutral: Who Survives The Massive EV Investment Costs? Developing EVs and autonomous tech are all the rage right now—but that kind of comprehensive change across an entire industry is tough to pull off and can be hell on a manufacturing budget. Volkswagen alone is putting $91 billion into the effort, and you can bet not everyone has that kind of cash. Is this push for development going to pay off, or are we going to see the downfall of a lot of beloved marques?